The magic word here is “Interactive”! 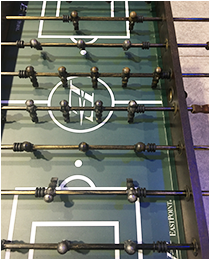 For decades our clients have turned to us for interactive events that bring their groups together, challenge their competitive nature and most of all, make it FUN!!! 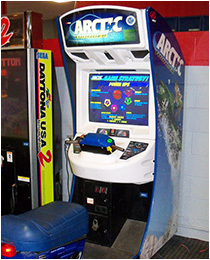 Our extensive game list includes something for everyone, guaranteed! 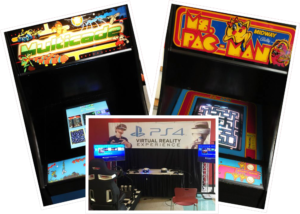 Our selection includes everything from classic arcade games and driving simulators, to the latest consoles with virtual reality, to our vintage bar and pub-style table games. 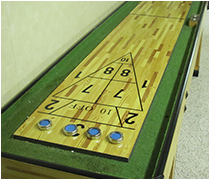 These are all high quality, commercial grade tables and games for your guests to enjoy. 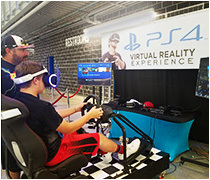 The PlayStation 4 Virtual Reality System is the newest advancement in video games. 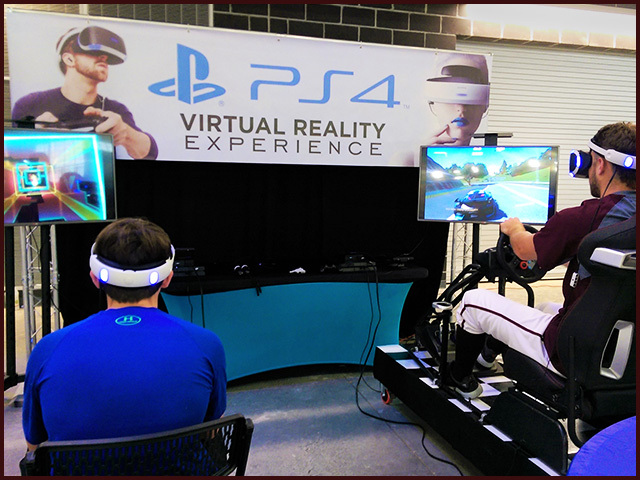 We offer VR Racing Complete with a racing seat and steering wheel. 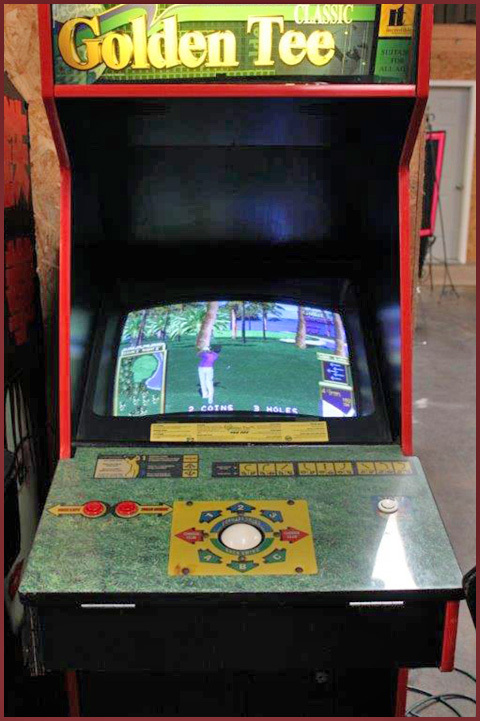 We also offer several other VR games from sports to puzzles to fighting and shooting games. 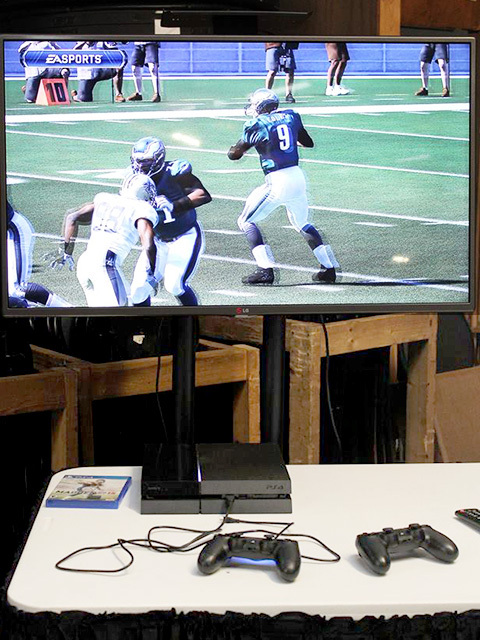 Our Playstation 4 setup is perfect for your competitive side. 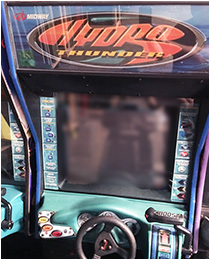 Choose from several sports games including Madden, NBA 2K, FIFA, Formula 1 Racing and more. You can even upgrade to our VR Package! 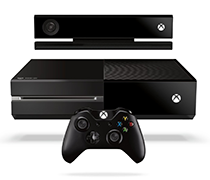 Our Xbox One package comes with all the latest games from sports to shooters. We can even accommodate most special requests. 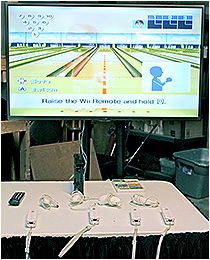 If you’re feeling more interactive, our Xbox 360 Package includes the Xbox Kinect and all your favorite interactive games. 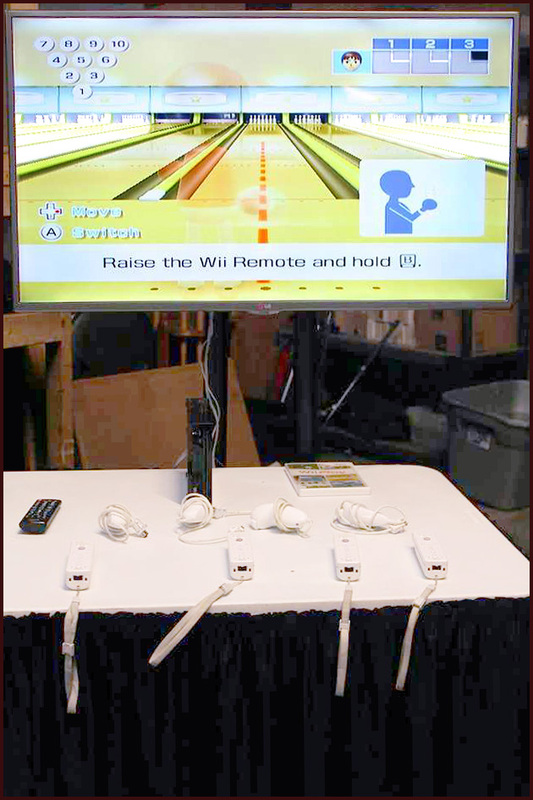 Our Wii system package includes the interactive console system, preselected games and a 42″ HD Monitor. 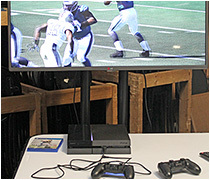 We can even put the games up on large projection screens. 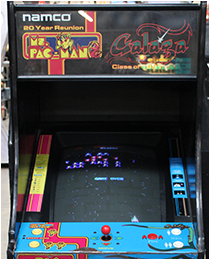 The classic arcade standup consoles you remember, like Pac-Man and Galaga! 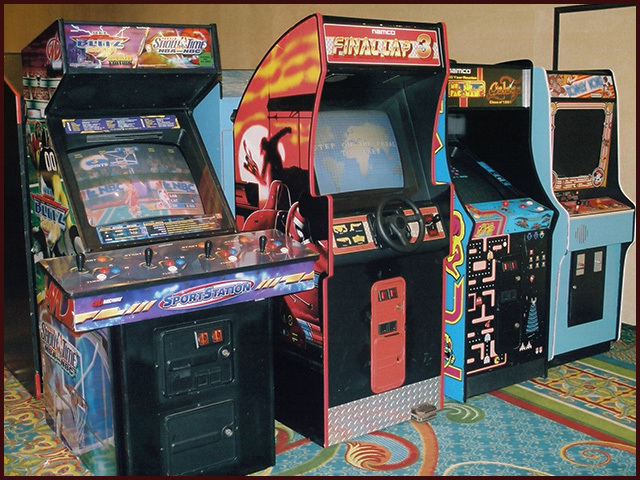 Yes, they are just as much fun as you remember! 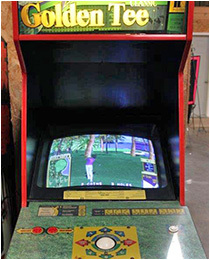 Golden Tee Golf offers players a more laid back video golf experience without taking away the competitive factor that has made Golden Tee the arcade staple it is today. 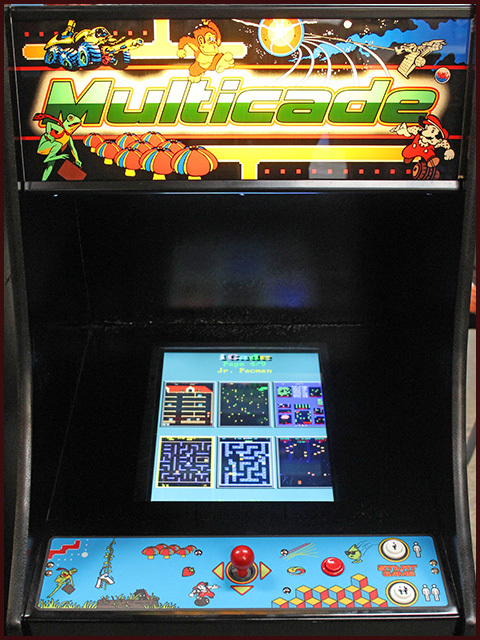 We now offer 50-n-1 Multicade Arcade machines for your enjoyment. 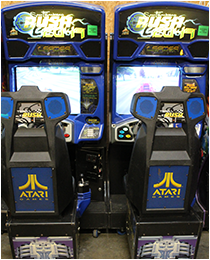 Dozens of top vintage arcade games are included. 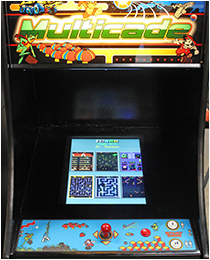 Pac-Man, Centipede, Asteroids, and so many more. What’s it like powering a 750-HP stock car around Daytona’s high-banked turns? 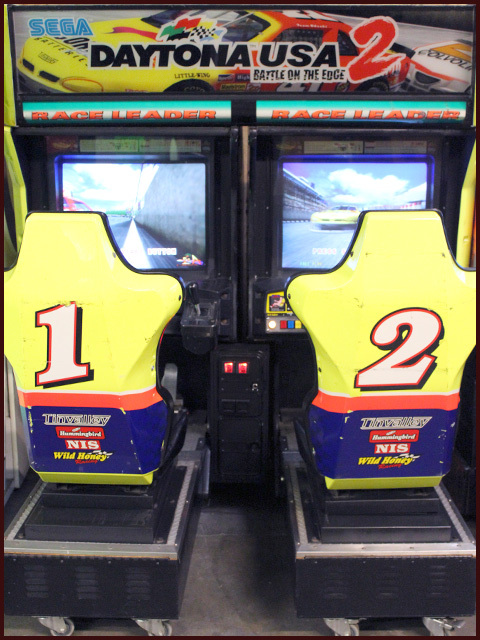 Have a seat in this two-player head-to-head racer and find out! 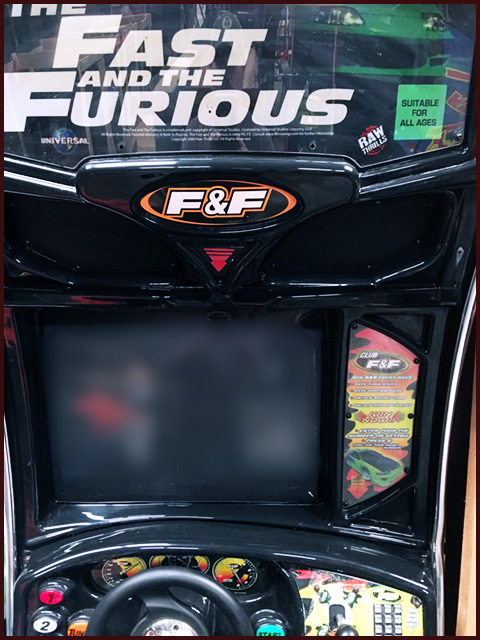 Ever wanted to race against your friends? 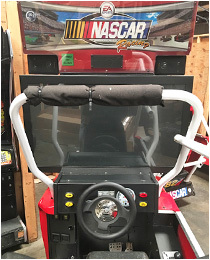 With our pair of Nascar simulators, now you can! 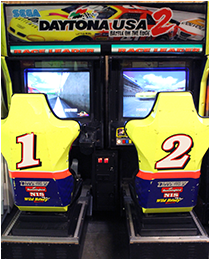 Compete on multiple Nascar tracks, and play as your favorite driver to show off your skills. Racing in the future-what a RUSH! 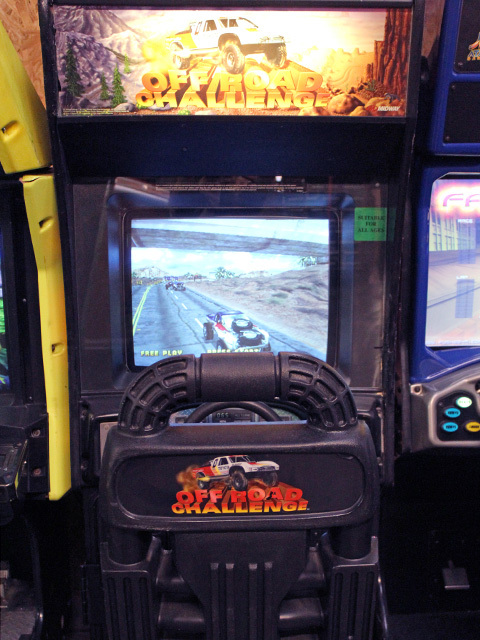 Everything about these racing simulators is high tech and high adrenaline. 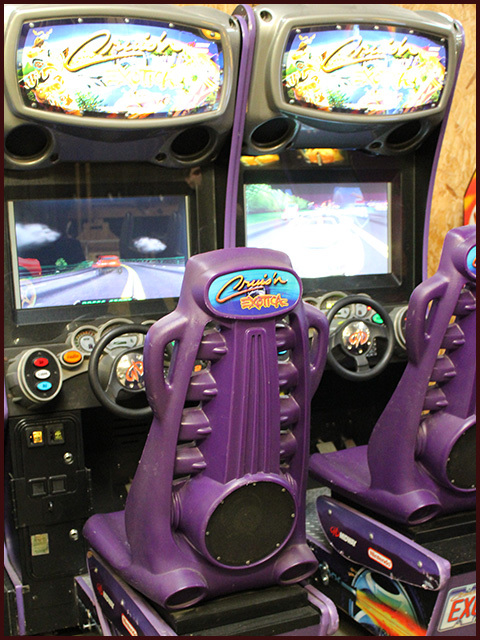 Race through town and country at breathtaking speeds! 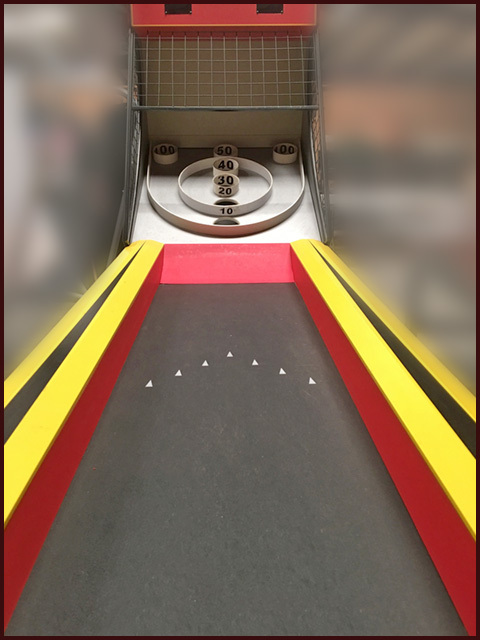 Watch out for obstacles and competition, ’cause this fast paced action is going down to the wire. 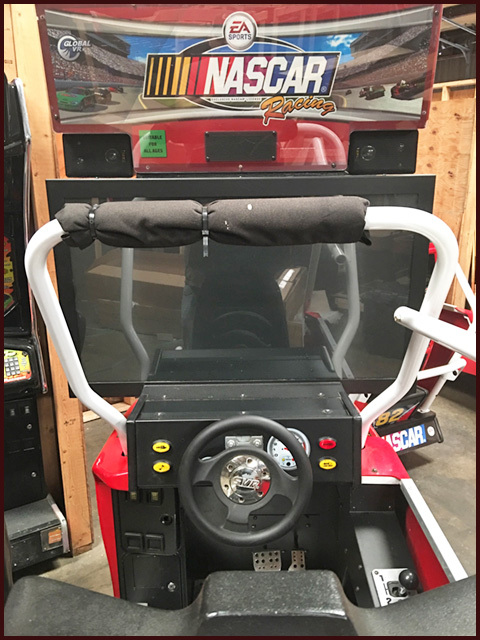 Here is the simulator with all the bells and whistles. 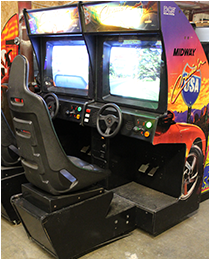 Great new cars and courses that are sure to challenge even the best gamer. 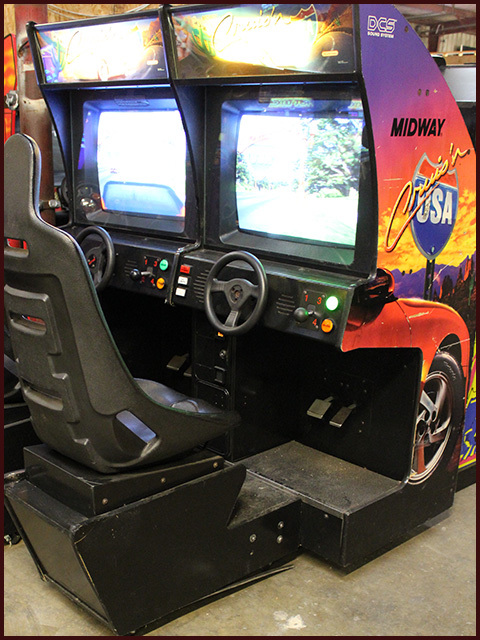 More high speed thrills from the creators of the Cruisin’ USA sims! 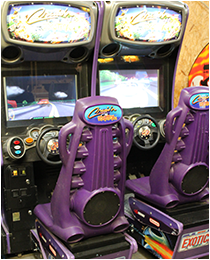 Choose from 12 action-packed tracks and 17 tricked-out rides! This snowmobile shootout racer features amazing jumps, secret short-cuts, hair raising free-fall jumps and awesome power-ups! It’s a serious Arctic blast! 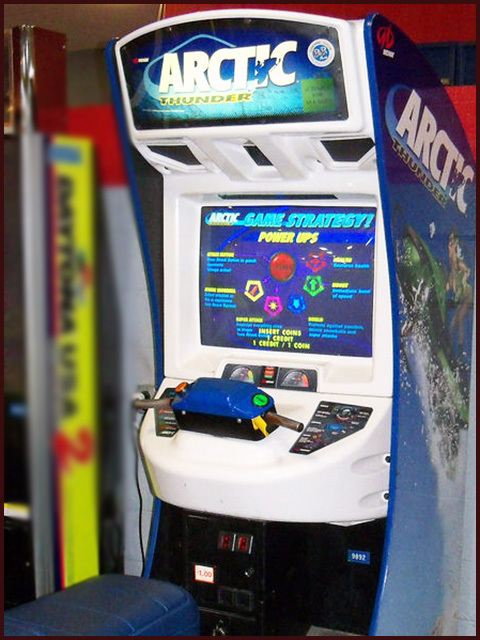 Try your hand at manuvering 13 different powerboats through challenging tracks filled with choppy waves, fierce storms, surging waterfalls and icy slopes! The greatest off-road, four-wheeler fun you have ever had! 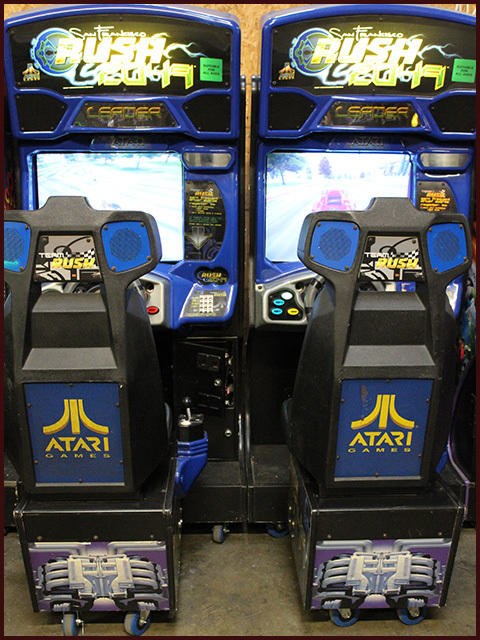 Choose from multiple driving machines and several exciting and challenging courses. 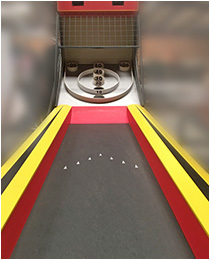 What arcade night would be complete without Air Hockey? First one to 7 wins! 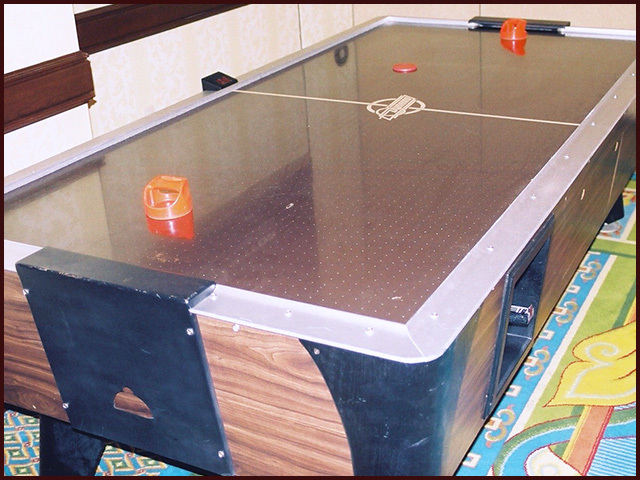 Featuring tournament class 8′ tables. 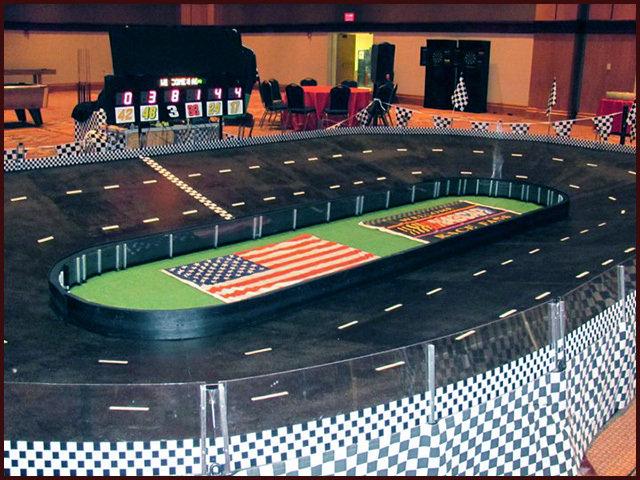 Up to 6 drivers compete with miniature RC Nascars racing on a big 20′ x 30′ banked oval track. 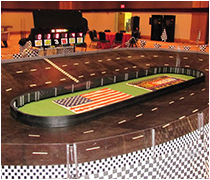 This competition has all the bumping, spinouts, multiple car pileups and fast pace racing your group will love. Pedal to the Metal! 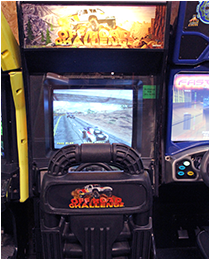 Join in for a game of fast-paced action. 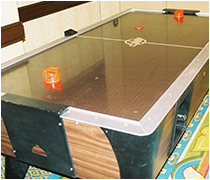 Two to Four players can play on these tounament style tables. 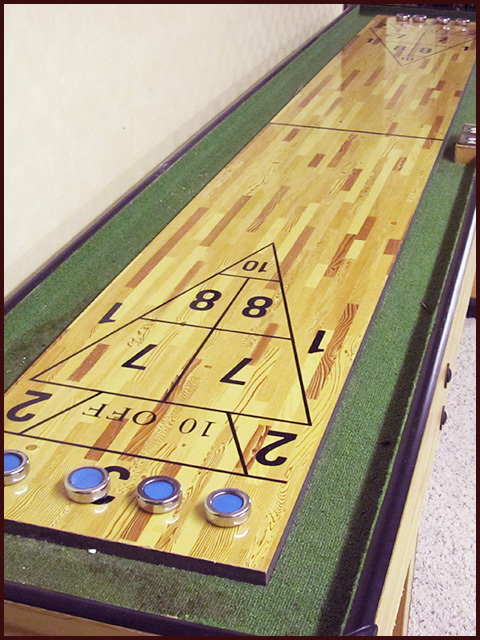 Shuffleboard has always been one of the most popular and challengeing pub favorites. 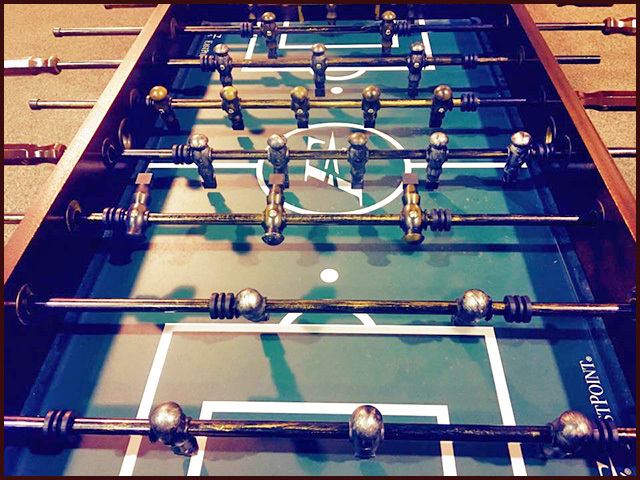 Our 10′ table will get this party started! 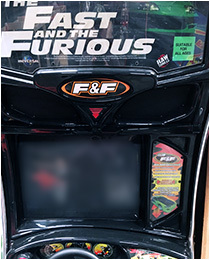 This is a game known for action and skill. 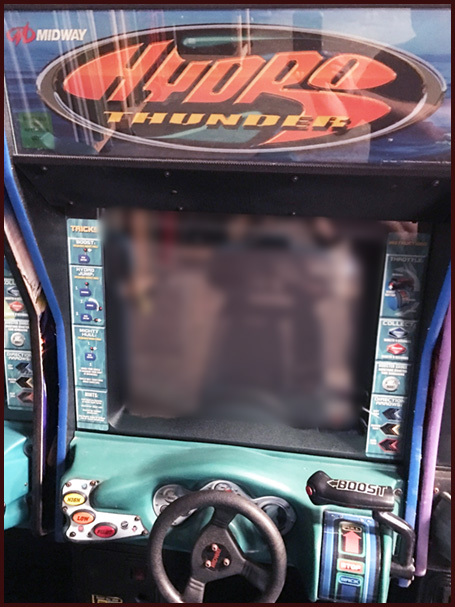 Two player competition that will challenge you all night!